U.S. Customs and Border Protection states that the Automated Commercial Environment deployment originally scheduled for Feb. 9 has been postponed due to the recent federal government shutdown. 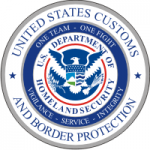 This deployment included automation of CBP Form 5106 (click here for more information), unique identifiers for Centers of Excellence and Expertise, and updates related to the renewal of the Generalized System of Preferences. More information on this deployment will be shared as soon as new dates have been established. CBP notes that the mandatory filing of drawback claims pursuant to the Trade Facilitation and Trade Enforcement Act was not affected by the shutdown and will proceed as planned, regardless of funding status after Feb. 15. Specifically, as of Feb. 24 all drawback claims must be filed electronically in ACE as TFTEA drawback. © , Sandler, Travis & Rosenberg, P.A. Originally published in the [01/31/2019] issue of the Sandler, Travis & Rosenberg Trade Report. Reprinted by permission.